Tai Chi is a traditional Chinese martial art whose physical practice offers general health benefits, stress management, increased energy, and improved physical mobility. The physical and meditative aspects of Tai Chi, which uses slow, repetitive movements, are recognized as relieving the physical effects of stress on the body and mind. Led by instructor Henderson Smith, Tai Chi classes are held from 5pm to 6pm on the Chapel grounds near the reflecting pool and Barnett Newman’s sculpture Broken Obelisk. The classes are suitable for beginners as well as the experienced Tai Chi practitioner. Loose fitting, comfortable clothes are appropriate attire. 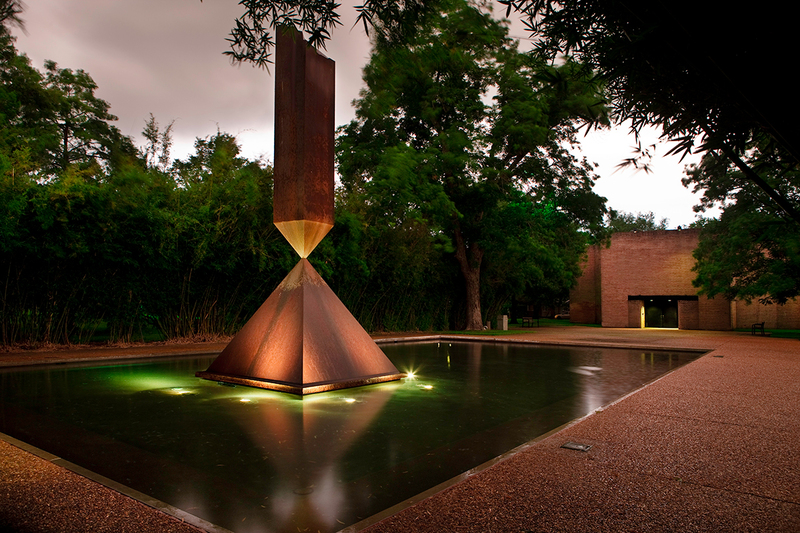 In case of inclement weather, small sized classes will be held inside the Rothko Chapel. Henderson Smith is the founder of Living Well Therapies and is a certified instructor in Tai Chi.